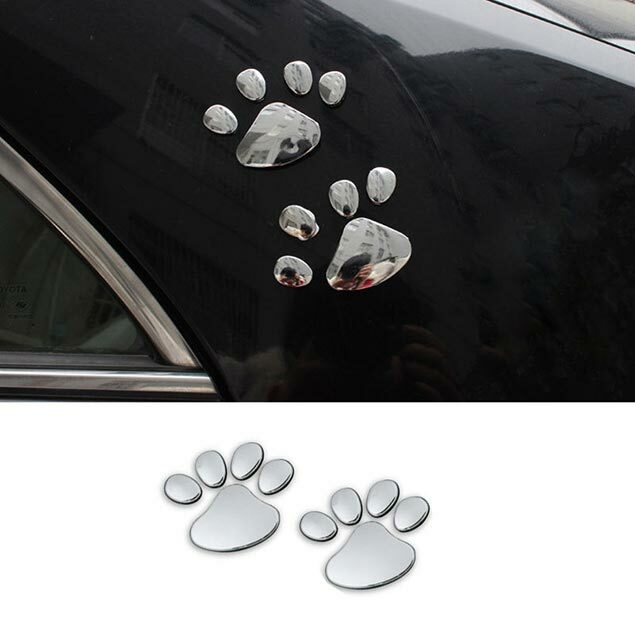 These cute 3D paw decals will definitely turn heads! 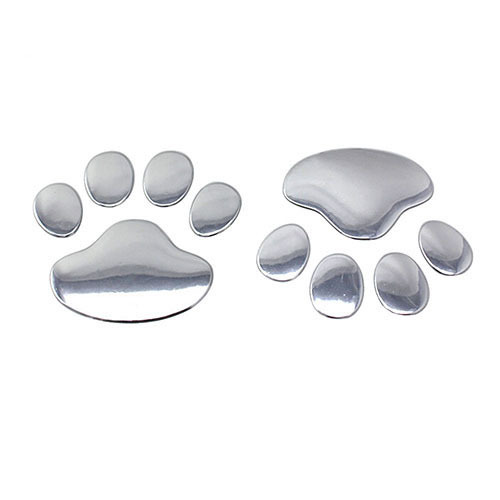 They are a great gift for any pet lover. 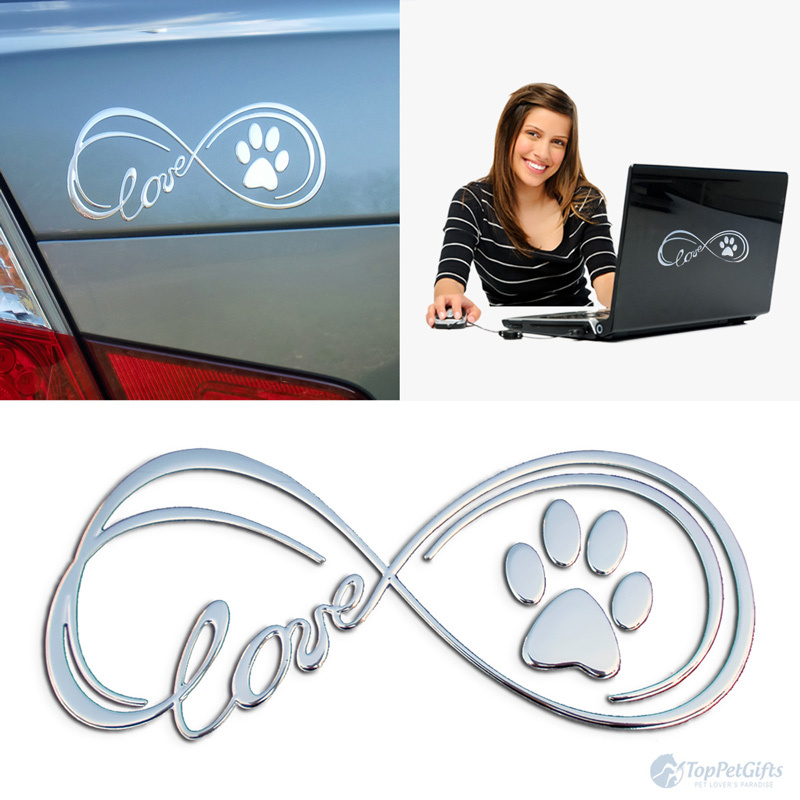 Use them on your vehicle, laptop, tablet, windows, fridge, mail box or just about any flat smooth surface! 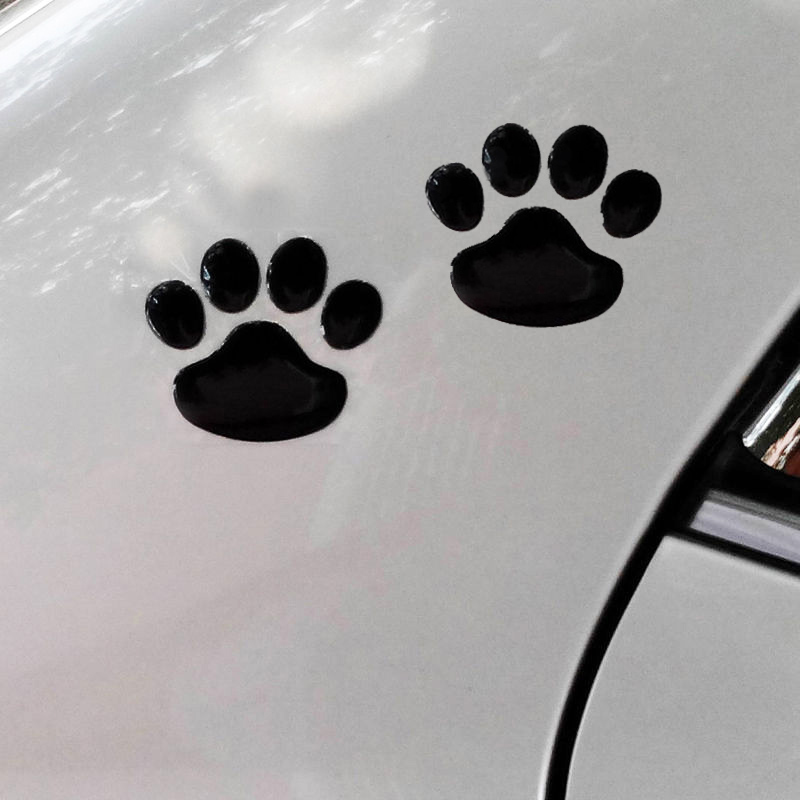 Each set includes 2 paw print decals. Description: These are DIE-CUT 3D vinyl adhesive decals meaning there is no background. If there is a background color in the picture, it is used only as a example. The background color will be the color of the surface you place the sticker on, or clear if you put it on a window. Clearly the best store. I ordered 3 pieces. Excellent store. Will surely order for more. The quality of the decal is really good. I will surely order for more. Haven’t put them in my car yet but they sure are really cute. My order arrived quickly as expected and it was packed really well. Will order for more. Made from a really good material. This has been a good purchase. My wife really loves the decals. They look really good and pretty sticky on the car. Lovely decals and are very easy to apply. The decals really look good on my car. Great store! I super love them. Thank you! Of really high quality! will surely buy again. They look great at a very reasonable price! These stickers are gorgeous. Great store! Offers on time delivery. Love it! Highly recommended store. Bought these decals but would love to buy the other decals they offer too. Received the stickers in really good condition. Great store! These decals are are really good. Dog lovers will surely love these as much as I do. Love the fact that the quality is really good! Would love to order again from this store. They are totally cute. It looks good on my car! Thank you! My friends were jealous. They also want one. Purchased the decal a week ago, but I want to buy more. They send orders quickly. Looking forward to shopping more! Orders are send quickly. Looking forward to shopping more. Probably the best store I’ve ever been. Good products + fast shipment.